Even though Chromebook is based on Chrome, it's keyboard shortcuts somewhat differ from Chrome shortcuts on other operating systems because of two reasons: Chromebooks offer additional features, as they are standalone computers. Reason two is Chromebook's keyboards has some additional keys like Search. Here is the list of shortcuts you can use on your Chromebook. We're sure they'll make you a faster Chromebook user. Note: If you’re using a Windows or Mac keyboard, use the Windows key or Command key in place of the Search key. Drag the link to the tab's address bar to open the link in the tab. Drag the link to a blank area on the tab strip to open the link in a new tab. While dragging the tab, press Esc to return the tab to its original position. To save the link as a bookmark, drag link to bookmarks bar. Ctrl + Alt + . For information about using a braille device with your Chromebook, take a look at this Google support page. Chromebook is a laptop or tablet that runs Chrome OS as operating system. Chrome OS is developed by Google. It is based on the Linux kernel and uses Google Chrome as the web browser and principal web interface. 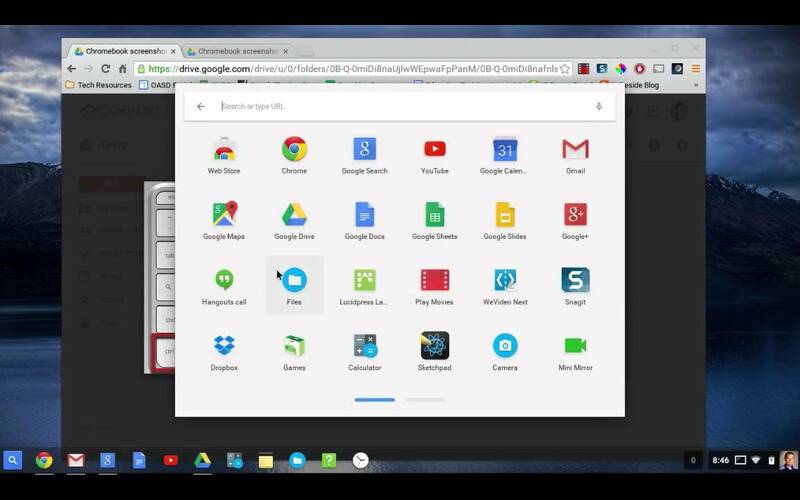 That means Chrome OS is largely based on web apps that can run in Chrome web browser. Turn ChromeVox (spoken feedback) on or off. What is your favorite Chromebook and Chrome OS hotkey? Do you have any useful tips for program? Let other users know below.